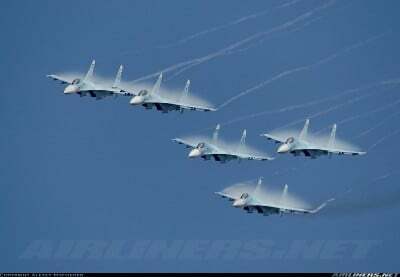 Over the past 3 days, Russian warplanes have conducted 134 sorties, hitting 449 targets in the provinces of Aleppo, Damascus, Idlib, Latakia, Hama, Homs, Raqqa and Deir ez-Zor. The main targets were the Al Nusra terrorist group with allies and ISIS. The Russian Air Force has targeted a number of the terrorirsts’ supply routes from Turkey. The Syrian forces intensified their military operations in Eastern Ghouta in Damascus countryside. Pro-government sources argue the army clashed with terrorists from Jaish al-Islam to the East of Harasta city. A large group of terrorists were reportedly killed. The Syrian army, backed by popular defense groups regained control over Tlol Um Kadom, Dahrat al-Said, Jabal al-Ramila and Tolol al-Sood in the Southeastern countryside of Homs. Rasheed Bikdash, one of the Free Syrian Army (FSA) leaders, was killed in clashes with the Syrian army in North of Latakia. Sources said Bikdash is the highest-ranking defector from the Syrian army that has been killed in Syria. Bikdash reportedly coordinated the Turkey’s downing of the Russian Su-24 from the Turkoman terrorists’ side. On Thursday the US-baccked group FSA issued a statement that demanded the predominately Kurdish “People’s Protection Units” (YPG) withdraw from 7 villages in northern Aleppo: Maryamin, Anab, Shawaghra, Tanib, Kashta’ar, Mirash,and Qanbriyah. The YPG has 48 hours to do this. The statement followed the recent tensions following the abduction of several members of the YPG and their allies from Jaysh Al-Thuwar in the Aleppo Governorate. If the Kurdish forces do not withdraw from the villages, the FSA and their allies from Harakat Ahrar Al-Sham and Al Nusra will start a military operation against the YPG. Considering the US relies on the Syrian Kurds in a possible advance on Raqqa planned by the Washigton, it becomes clear that, the US-backed terrorists have no will to confront ISIS and seek only power for themselves. Separately, it confirms that the US doesn’t have any reliable force to build an alternative to Assad power in Syria.